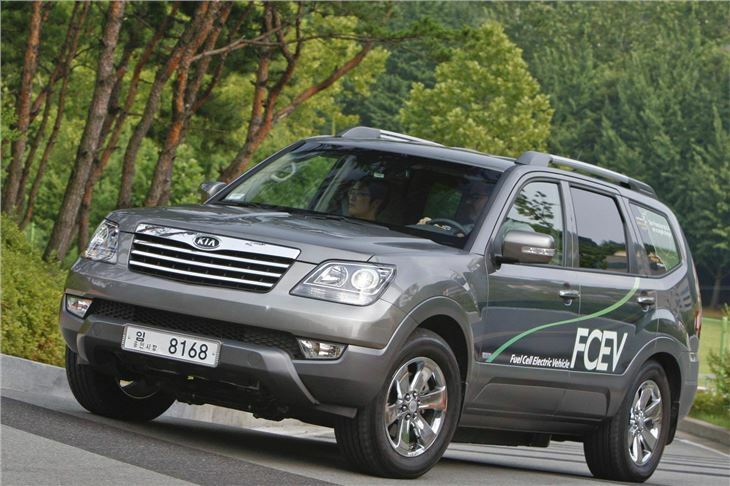 Next generation high power, low CO2 engines from KIA and Hyundai. A visit to KIA’s huge R&D centre at Namyang in Korea revealed some of the new engines and transmissions that will power future generations of KIAs and Hyundais. We’ll start with the smallest first, which is a new 998cc three-cylinder turbocharged version of the chain-cam Kappa engine. (All KIA and Hyundai’s new engines are chain cam; some silent chain; some standard link chain.) Just like Nissan, KIA is realising the benefits of 20% less friction of a 3-cylinder engine compared to 4 cylinders. 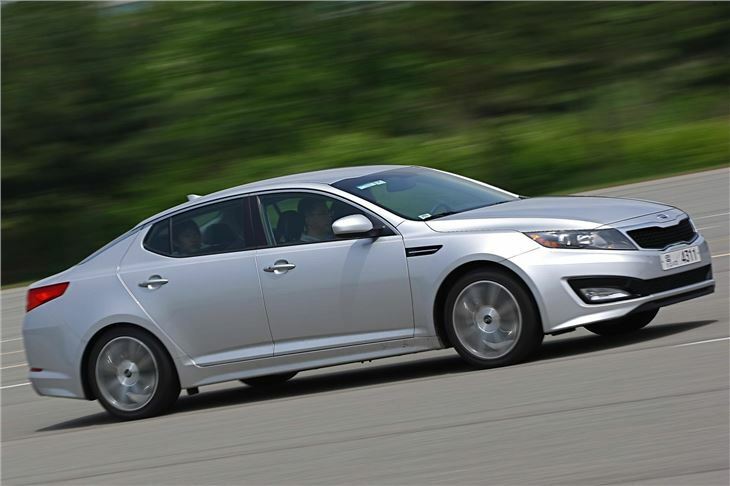 But, instead of using a supercharger to boost the power, KIA is applying turbocharging. And whereas Nissan expects to get 99PS from its 1.2 litre engine in the Micra, KIA is extracting 110PS and less than 90g/km of CO2. This engine will power the next generation Korean built KIA Picanto and also the Indian built Hyundai i10. KIA’s new chain-cam ‘Theta II’ 1,591cc 1.6GDI petrol engine arriving in late 2010 performs the neat trick of getting under 150g/km in an SUV, and will be fitted to the Sportage ix35 and new K5 Magentis. It develops 140PS at 6,200rpm and 166Nm at 4,500rpm. The next interesting new engine is the forthcoming 1.7 litre U2 variable vane turbodiesel that will put out 115PS and initially 135g/km CO2 in the new Sportage and next year’s new K5 Magentis, though by applying progressive twin turbocharging KIA has got the CO2 down to 125g/km. This engine will be fitted to the Sportage next year and the new Magentis that arrives in the UK in mid 2011. Though 115PS doesn’t read like much, the twin turbos give much smoother torque at low revs, so delivers the power when you want it rather than when you don’t. The U2 diesel will also get the option of KIA’s new twin clutch concentric inner and outer twin-shaft 6-speed automatic transmission that works like VAG’s DSG and Ford’s Powershift. 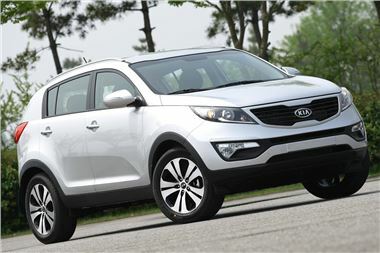 KIA’s standard 6-speed compact torque converter auto continues in the meantime and was actually fitted to the Sportage we drove. There are two versions of the new 1,995cc ‘R’ type diesel engine; one with 184PS, the other with 136PS at 4,000rpm and 304Nm torque from 1,800 – 2,500 rpm. This is the version the UK is getting and, benefits from a low 147g/km CO2 and quicker response by virtue of a smaller turbo. One engine we might see later in the UK is a 201PS 2.4 litre version of the chain cam Theta petrol engine found under the bonnet of the Mercedes CLS-like Hyundai Sonata. An engine we definitely won’t see is the TAU V8 in 4.6 and 5.0 litre capacities which currently powers the Hyundai Equus. This pumps out 380PS or 400PS to haul these limos that seem to come in any colour you like as long as it’s black, and has been voted one of the ten best engines in the world. Of course, this isn’t the whole story. KIA and Hyundai already have Forte and Elantra LPG hybrid models on Korean roads. Most significant of all is a production-ready hydrogen fuel cell electric Borrego SV, now production ready. It develops 115kW, can do 100mph and 0-60 in 12.8 seconds, yet in tests has already travelled 430 miles on one fill. It runs in four modes: fuel cell alone, power assist of fuel cell plus super capacitor battery, charged fuel cell and braking regeneration. In terms of energy creation and transference to the wheels, a petrol vehicle is roughly 16% efficient, an electric vehicle 21% efficient, a hybrid vehicle 26% efficient, a fuel cell vehicle 36% efficient and a fuel cell electric vehicle 42% efficient. The cost of fuel for 700km is roughly 24 Euros, excluding tax. An FCEV is also relatively maintenance free. It requires no engine oil or oil filter. And maintenance jobs such as replacing air filters and de-mineralised coolant could be carried out by the owner. And there is no danger. In a fire test a gasoline tank exploded in 40 minutes, whereas in the same fire test the hydrogen pressure released in 22 minutes. When a vehicle CNG tank exploded the flame height was 11 metres, yet when a similar capacity hydrogen tank exploded it was 8 metres. Unfortunately, to get the cost down a manufacturer has to commit to volume, and for such a vehicle to sell in volume requires an infrastructure of hydrogen refuelling stations and a cheap source of hydrogen. Germany recovers it from chemical production, but it can also be sourced from waste heat from nuclear power stations, from wind farms and from solar panels. The Borrego FCEV even drives well. Better, I thought than the Honda FCX Clarity, picking up speed more smoothly and riding more smoothly. 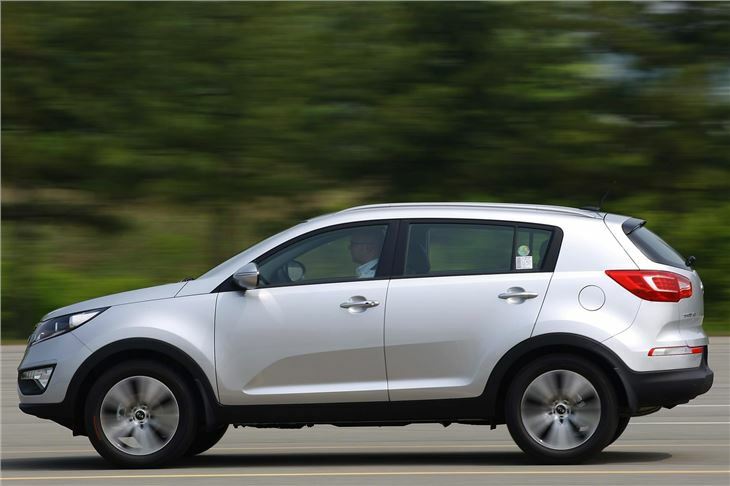 As non-renewable energy sources diminish, fuel cell electric vehicles are the future and KIA is wise to be ready for it.